Acceptance and mindfulness-based practices are rapidly making their way into mental health care, medicine, and society – both to alleviate human suffering and nurture psychological health and wellness. This body of work offers a fresh perspective on psychological suffering, and powerful clinical strategies that support meaningful life changes. In this workshop, we will learn about one unique approach and set of intervention strategies based on Acceptance and Commitment Therapy (or ACT, said as one word). 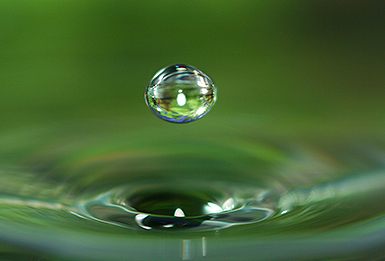 ACT balances mindfulness and acceptance processes with commitment and behavior change in the service of living a more vital life. ACT is both a form of therapy and an approach to living well, with evidence showing that it is useful for many forms of psychological and emotional suffering. ACT offers a fresh perspective on psychological health and a set of powerful clinical strategies that support meaningful life changes. In short, ACT teaches clients how to change their relationship with painful aspects of their experience and do what works – to live well, richly, and meaningfully, without first having to overcome sources of emotional and psychological pain. This work can be challenging for both therapists and clients alike, for much of ACT work involves contacting difficult and painful psychological content without defense and for a purpose other than psychological relief. Thus, understanding the application and integration of the ACT model of psychological health and suffering is essential for effective ACT work. 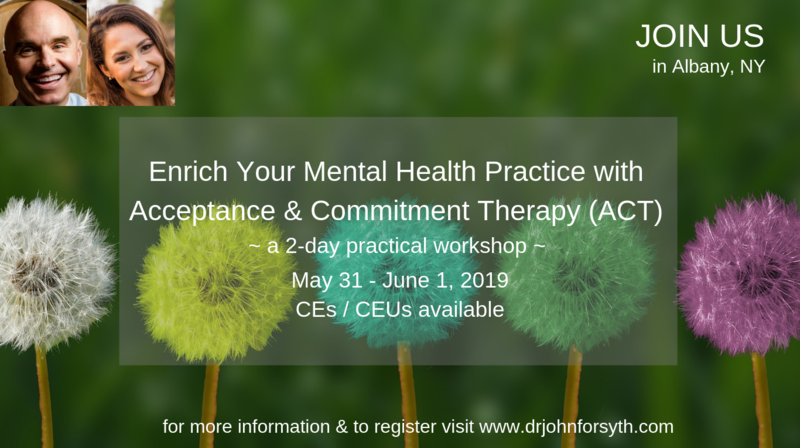 This 2-day workshop will introduce ACT, both as a model and as a set of therapy strategies, and illustrate its use across a broad set of problem areas commonly seen in mental health settings (e.g., anxiety, depression, anger). Our time together will be a mix of instruction, demonstrations, and hands on practical experiential exercises that will be done individually, in dyads, and small groups. The exercises will highlight practical skills that can be used to nurture psychological health and wellness while creating the space needed to take value-guided actions in the service of what matters. Worksheets and other practical tools will be provided. Social workers, licensed mental health counselors, psychologists, psychiatric nurses, psychiatrists, life-coaches, and other mental health professionals, including graduate students and post-doctoral fellows. Some general familiarity with ACT will be helpful, but is not required. Workshop tuition includes the registration fee and processing fees for CEUs/CEs for Social Workers, LHMCs, and Psychologists. Free parking passes will be issued via email with registration confirmation. Registration also includes handouts of slides and clinical forms/worksheets. Space will be limited, so if you plan to attend, please do register soon by selecting the appropriate link above. If we cancel the event for any reason, of course, we’ll refund all of your registration fees. Continuing-education certification fees, included in tuition, can be refunded until the day before the event. They become non-refundable on the first day of the event. Continuing-education certification purchased at an event is non-refundable. Describe strategies to foster the ongoing development of ACT competencies. 11 CE/CEU Credits are available for social workers licensed in New York State and for mental health counselors licensed in New York State. 11 CEs are also available for psychologists. See below for more information about CEs/CEUs. Social Work Continuing Education hours are available through a partnership with the University at Albany School of Social Welfare. The University at Albany School of Social Welfare is recognized by the New York State Education Department's State Board for Social Work as an approved provider of continuing education for licensed social workers #0011. Licensed Mental Health Counselor Continuing Education hours are available through a partnership with the University at Albany School of Social Welfare and School of Education. The University at Albany School of Social Welfare & School of Education Continuing Education Program is recognized by the New York State Education Department's State Board for Mental Health Practitioners as an approved provider of continuing education for licensed mental health counselors. #MHC-0039. CE credits for psychologists are available through co-sponsorship with the Association for Contextual Behavioral Science. “The Association for Contextual Behavioral Science is approved by the American Psychological Association to sponsor continuing education for psychologists. The Association for Contextual Behavioral Science maintains responsibility for this program and its content.” All psychologists who attended the full training will receive a certificate of completion, including the total hours of the workshop. In order to issue you CE credit, we will need to know your professional license type and number. Participants MUST complete a CE evaluation form in order to received credit (in addition to signing in and out). Parking Permit: Upon registration, you will receive a link to a pdf file containing your confirmation and a link to a pdf file with your parking permit. Please print the confirmation and parking permit and leave your parking permit clearly visible on the front dashboard of your car. Please park only in the designated lots. John and his wife Jamie regularly give ACT talks and workshops to the public and professionals in the United States and abroad. They are well known for offering intensive week-long retreat-style ACT trainings at the Omega Institute for Holistic Studies in Rhinebeck, NY, the Esalen Institute in Big Sur, CA, and the Cape Cod Institute in Eastham, MA, where John and Jamie are members of the teaching faculty. In 2020, Jamie and John will be offering a week-long training at Kripalu in MA, dates to be determined. John P. Forsyth, Ph.D. is an internationally recognized author, speaker, researcher, and trainer in the use of Acceptance and Commitment Therapy (ACT) and practices that cultivate mindfulness, loving kindness, and compassion. For over 20 years, his work has focused on developing ACT and mindfulness practices to alleviate human suffering, awaken the human spirit, and to nurture psychological health and vitality. His personal journey and experience, balanced with practical insights grounded in scientific evidence, offers hope to those wishing to find a path out of suffering and into wholeness. He has written several popular ACT books, including Acceptance and Commitment Therapy for Anxiety Disorders (for mental health professionals), and several ACT self-help books for the public: The Mindfulness & Acceptance Workbook for Anxiety, 2nd ed., and ACT on Life, Not on Anger, and Your Life on Purpose. His latest ACT self-help book, Anxiety Happens: 52 Ways to Find Peace of Mind, was released in April 2018. John holds a Doctorate in Clinical Psychology, and is a Professor of Psychology and Director the Anxiety Disorders Research Program at the University at Albany, SUNY in Upstate New York. He is a licensed clinical psychologist, with expertise in the use and application of ACT for several forms of psychological and emotional suffering. He is also widely sought after ACT trainer and consultant and serves as a senior editor of the ACT book series with New Harbinger Publications. Jamie holds a Doctorate in Clinical Psychology and is a licensed clinical psychologist in New York. She is a clinician and clinical supervisor at Union College, where she offers ACT-based outpatient psychotherapy to college students presenting with significant psychological, emotional, and behavioral challenges. Her clinical work, grounded in evidence-based know-how, offers unique insights into the subtle nuances of ACT as it unfolds in clinical practice. Jamie is also actively engaged in the dissemination of ACT and mindfulness practices within her college community and, along with her husband John, co-lead ACT professional workshops in the United States and abroad. Although ACT is her primary theoretical orientation, Jamie considers herself to be an integrationist and thus draws upon relational and psychodynamic theories to help create a holistic person-centered approach to treatment. Jamie’s clinical wisdom, coupled with the depth and scope of her knowledge and skills, bridges various approaches and streams of practice within an ACT point of view. Dr. John Forsyth receives a salary from the University at Albany for his role as Professor of Psychology. In addition, he receives royalties from New Harbinger for books he has co-authored. Dr. Jamie Forsyth receives a salary from Union College for her role as a mental health clinician with the student counseling center.